The world has been toying with the idea of driverless cars for years now, but California is really taking it to the next level – they will probably make self-driving cars legel by 2015. If you’ve seen the movies with Google’s ‘chandelier’ topped autonomous cars driving down the street, you may have assumed the technology is legal, but that’s not really the case. Google has been working around a legal grey area, as self-driving cars haven’t really been explicitly addressed by the California Department of Motor Vehicles (DMV). However, as of September 16 2014, new regulations go into effect regarding testing autonomous vehicles, and DMV is the rules for the public can be expected in early 2015. 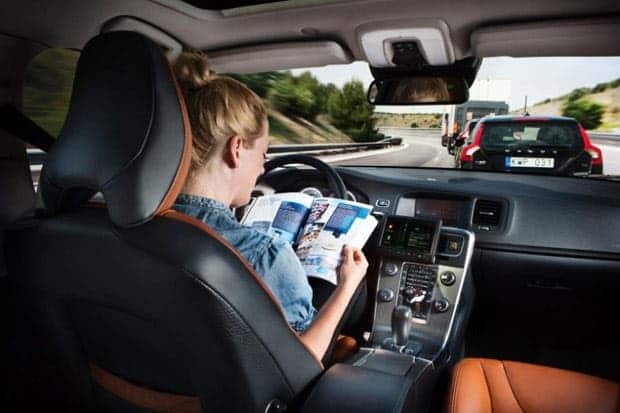 However, interestingly enough, the new regulations are aimed at “manufacturers” of autonomous vehicles – which would likely not include Google. However, it remains to be seen what the law will be for companies which modify existing vehicles; we’ll probably find that out in 2015. Nevada has already legalized the testing of self-driving cars, and has even created a special plate for them – mentioning their autonomous nature. Any manufacturer wanting to try them has to apply for a special permit, but Nevada has been pretty liberal with the permits. Out of all the car manufacturers out there, Audi has been pushing the hardest for autonomous vehicles. Automotive equipment supplier Continental has also been conducting tests, and Nissan has promised self-driving cars by 2020. Tesla is also joining the fray, but they haven’t really announced a date. So what do you think? Is this a good initiative, which will reduce traffic jams and increase safety, or is it reckless, and taking away the human element from driving is not needed? Where do you stand?